We are thrilled that Art Academy has been so well received by our local community. 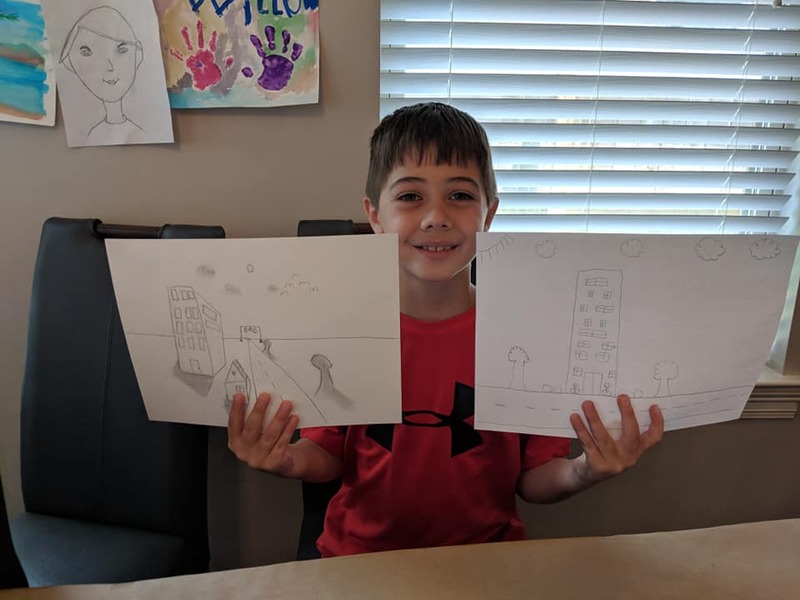 Our mission to inspire, educate and build confidence in children and adults through the core fundamentals and elements of visual art has resonated with so many of you. Like you, we find huge value in creativity and self expression. To continue to serve our community in the best way possible, we have added a few like-minded people to our team. We thought you’d like to learn a bit about us. 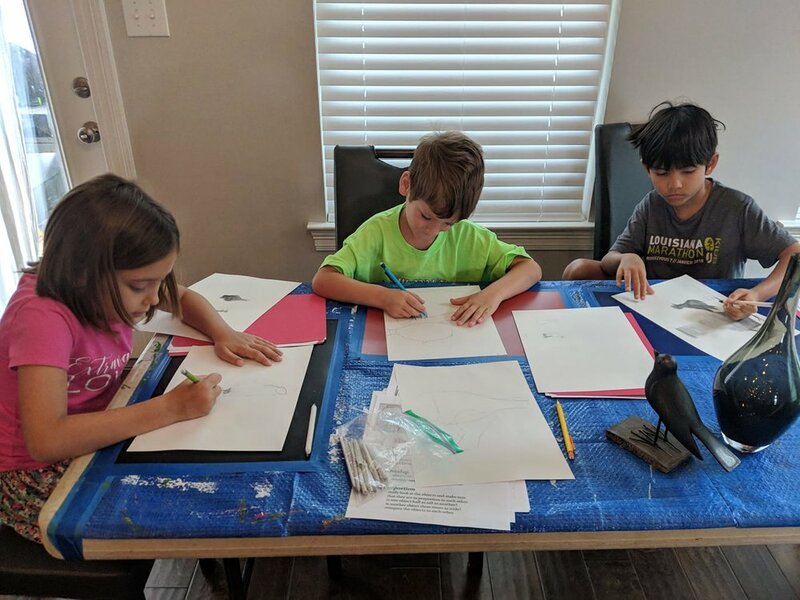 Bekah opened Art Academy in 2018 as a way to use her talents and passion to positively impact the community. 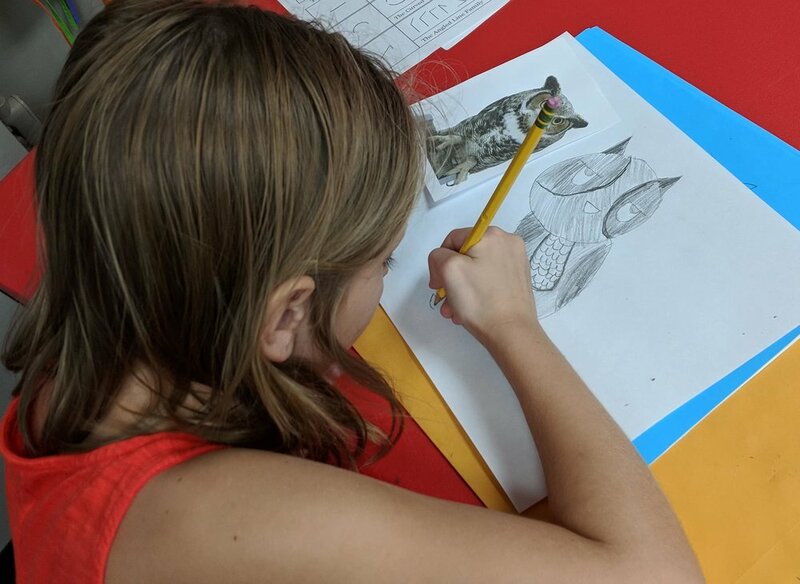 With art being cut from school curriculums, children are missing out on opportunities to develop a creative mindset and express themselves through art. Bekah seeks to bring art education back to elementary age children through weekly lessons and events. She also wants to provide adults the opportunity to draw "more than a stick figure" as many suggest they can’t do. 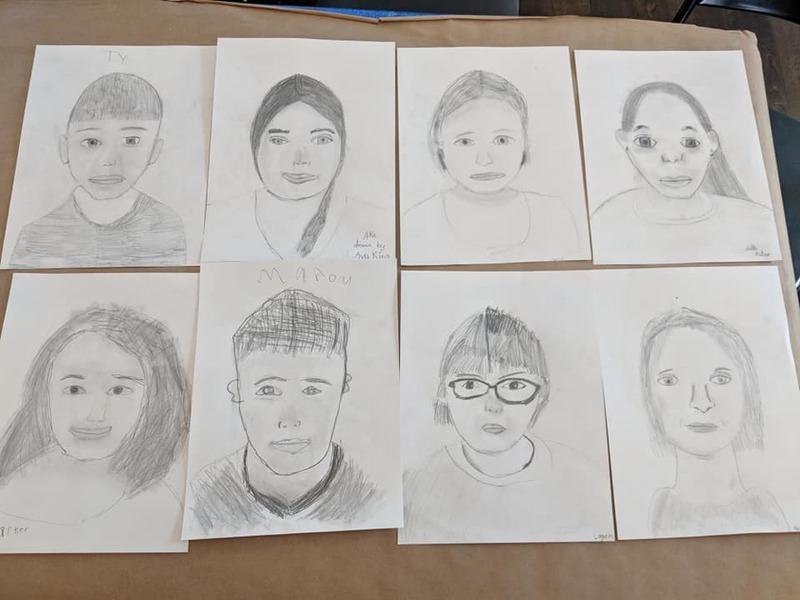 With all the pressure and stresses of daily life, she believes art is a wonderful way to connect with others and reduce stress and anxiety in both adults and children. Bekah’s love for art began when she was a little girl drawing her stuffed animals and playing in her mother’s own art studio. After graduating from Southeastern with a degree in Fine Arts, she spent the next 14 years as a freelance graphic designer designing marketing materials for small businesses. In 2016 she discovered her passion for teaching. She became an adjunct instructor of Visual Communication at LSU and began hosting summer art camps in her home. Now Bekah is following in her mother’s footsteps, combining her passions for art and teaching while supporting her family. Watching the students grow in their abilities and seeing their pride when creating unique works of art keeps her motivated to pursue her dream. With a community over competition mindset, Bekah loves finding new ways to collaborate with other creatives. She has been inspired by the talented creative community and strives to continue to learn new techniques and refine her own artistic abilities. 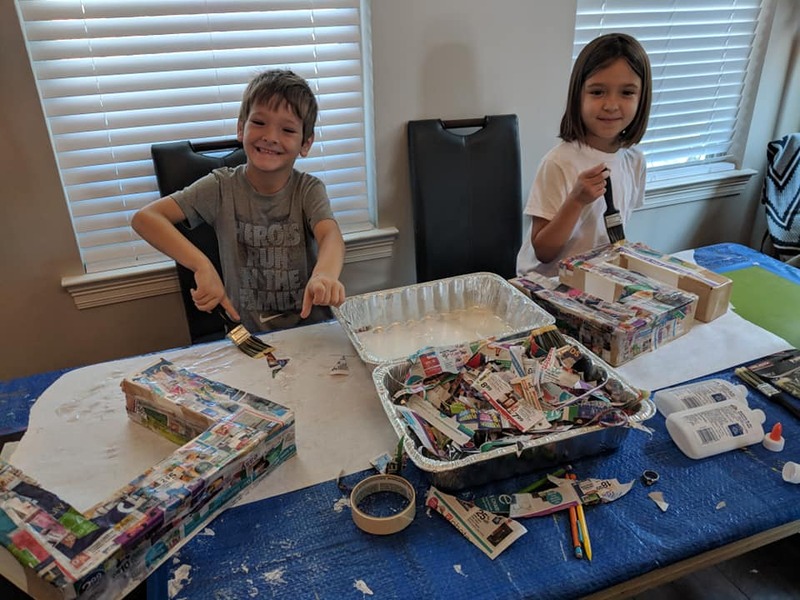 Her favorite way to connect with her inner artist is through art journaling, and she often holds adult art journaling workshops at Art Academy. Cristy is one of our children’s class instructors currently teaching our weekly Wednesday class. She is a home remodeler, artist, and mom to an eight and 11 year old. Art has always been a driving force in her life. She began her love affair with art at the age of 10 when she began painting on her bedroom walls. This pastime quickly turned into one of her first jobs as a muralist. She began painting murals in schools and on nursery walls. She also developed a knack for faux finishing and became a painter working for her father’s painting business at the age of 15. Cristy studied interior design and art at LSU and the Art Institute. On her summers off from college, she hosted art camps in her parent’s garage. A jack of all trades, she taught herself how to sew, knit, make jewelry, woodwork, and the list goes on. Once she had kids, she left the art world and found herself in a 9 to 5 job that did not allow her to express her creativity. She recently quit to pursue a career in home remodeling, a job that gave her a chance to use her artistic abilities every single day. Cristy believes that art has gotten her through many difficult moments in her youth and adult life. She feels inspired to share the healing power of art with others, especially those youth who don’t feel socially accepted. Her life experiences have made her passionate about promoting authentically and sharing the power of individuality. One of her favorite quotes is “What is done in love is done well,” by Vincent Van Gogh. Mandy is the instructor of our adult hand lettering workshops as well as a substitute teacher for our children’s classes. She is a local illustrator and surface pattern designer with a passion for designing bright and cheery art for children. Several of her patterns were featured in Cardmaking & Papercraft magazine. Before launching a business in illustration, Mandy spent over a decade as a freelance graphic designer working directly with small businesses to design various marketing materials. After taking some time off to care for her two little girls (who are now 5 and 7), she realized her true passion for making joyful art. As a child of a talented and crafty stay-at-home mom, she grew up drawing and making things, but she had settled for a more reliable career in corporate graphic design. Her kids reignited her creative spirit, and she now spends her days drawing, painting and illustrating. Her girls and seven nieces continue to be a source of inspiration, and sometimes she even incorporates their art into her designs to make them extra special. Mandy strives to encourage others to bring more creativity and joy into their lives. When she’s not illustrating or hosting workshops at Art Academy, she shares inspiration and encouragement for raising creative kids through her Instagram and Facebook accounts @raisingcreativegirls. Heather is one of our children’s workshop instructors teaching oil and acrylic painting. She has been an oil painter for over a decade with art featured throughout mid city Baton Rouge. She is represented by The Elizabethan Gallery Baton Rouge and Behold Gallery in Bay St. Louis MS and has been featured in Town Favorites and Coastal Living magazines. Heather has taught at the Art Guild of Louisiana and local libraries as well as private lessons in her home for both children and adults. She has held art shows for her students at galleries and restaurants. Previously, she worked at a private art school in Baton Rouge where she taught everything from silk screening and claymation to oil painting, watercolor and more. She has three children (ages 13, 11 and 9) and spent 11 years as a stay-at-home mom. She recently studied at the New Orleans Fine Art Academy and has taken classes with Libby Johnson, a well known artist in Baton Rouge. Her favorite things to paint are portraits and cityscapes, and she loves to play with values and colors. We are excited to have found a team of artists to share our love of art with the community. Thank you for being a part of our journey!